I'm going to make the trip up to see it, I think. ...yes, and a lock of Neil's hair. No, I believe he went of his own accord. 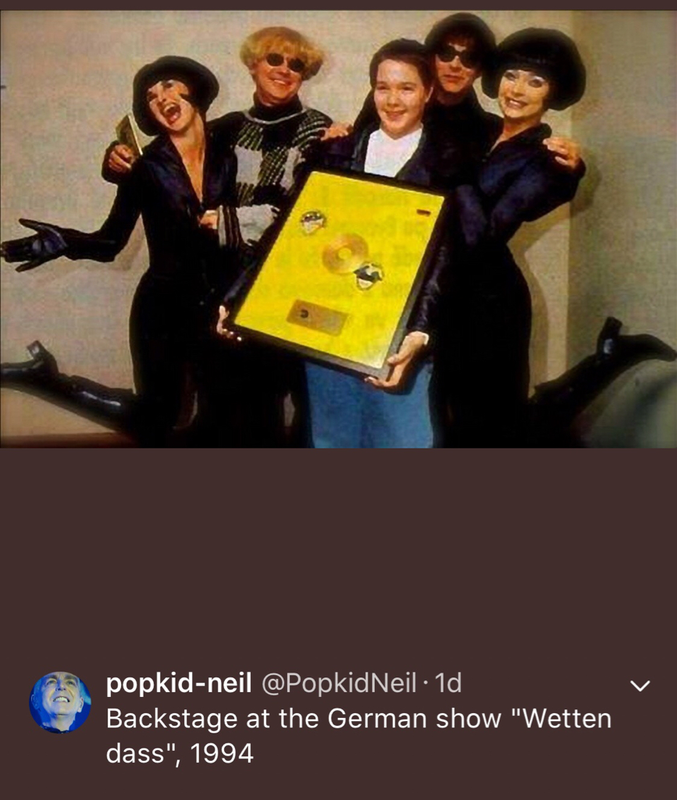 Topic: Neil Tennant Very Gold CD Award ? psbnyc wrote: So - is Very a single vinyl album or double? As we suspected, all three are single discs. Up Against It written on auto pilot? The reviewer must be either deaf or dead. I have the vinyl reissues in hand, yet to play. I also ordered the limited edition. Laugh, mock, be appalled...I don't care. A beautifully presented, nicely bound book containing lyrics from my favourite lyricist of over 30 years and signed by the author? I'd have been mad not to. What a lovely thing to own. Phil is indeed from Wigan.